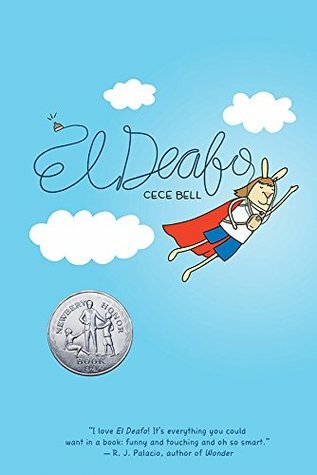 El Deafo by Cece Bell is a nominee for the 2016-17 South Carolina Children’s Book Award. El Deafo is both a graphic novel and a memoir. It truly is Cece Bell’s story. This story–which depicts young Cece as a rabbit–tells of how she lost her hearing and adapted to the world around her. It shows her difficulties fitting in as well as her triumphs. It’s hilarious at times and heart-breaking at others, and anyone who sees himself/herself as different will relate to Cece in some way. To learn more about this amazing book and author Cece Bell, visit her website. 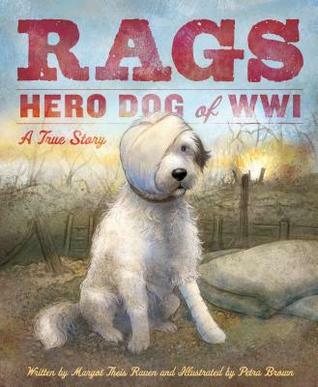 Rags tells the true story of a small dog who made a big difference. Rags began his life as a mutt in the streets of Paris, but a chance encounter with an American soldier, Private James Donovan, during World War I changed this dog’s life. Rags became a mascot of sorts for the Army’s First Division, and he and Donovan became inseparable. Rags assisted Donovan on missions and saved many lives in the process. He was a true hero who remained loyal to his best friend through good times and bad. Any reader, young or old, who likes inspirational stories, especially those involving animals or wartime, will appreciate this story. It might be a difficult read-aloud given that it’s kind of hard to read through a veil of tears. Even so, Rags is an excellent book that will appeal to a wide audience. The Scraps Book: Notes from a Colorful Life by Lois Ehlert is a nominee for the 2015-16 South Carolina Picture Book Award. 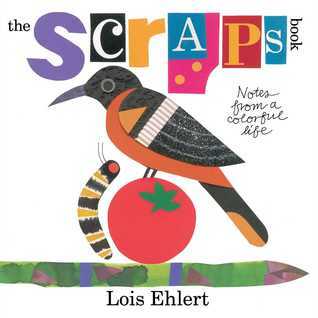 The Scraps Book introduces readers to the life and work of Lois Ehlert. This book, peppered with photographs, Ehlert’s artwork, and the items that inspire her, demonstrates that art can be found everywhere. This book is a great read for budding artists (as well as art teachers) as it goes into Ehlert’s creative process and some of the techniques she uses to create the collages seen in her picture books. It may also be a good addition to library Makerspaces. I envision making this a big part of my own space, urging students to read it and use it to jump-start ideas, while simply placing a variety of items at tables that students can use to create whatever art comes to them. While The Scraps Book doesn’t really lend itself to use as a read-aloud, I think it would be ideal for an author study on Lois Ehlert, discussions of creativity, and the work that goes into creating a book. Like The Junction of Sunshine and Lucky, I also think The Scraps Book could be used to inspire students to create art by upcycling and using found objects. Becoming Babe Ruth by Matt Tavares is a nominee for the 2014-15 South Carolina Picture Book Award. As a lifelong baseball fan, I’ve always been fascinated with Babe Ruth (even if he did play for the Red Sox and the Yankees). I haven’t, however, really thought about what made Babe Ruth into the greatest baseball player who ever lived. At least, not until now. Matt Tavares’ wonderful picture book, Becoming Babe Ruth, takes a look at what turned a boy into a legend. George Herman Ruth definitely didn’t start out as a success story. At the age of seven, this young trouble-maker was sent to a reform school in his hometown of Baltimore. He, along with 800 other boys, attended Saint Mary’s Industrial School for Boys, a strict school where they lived, worked, and learned a bit about discipline. Saint Mary’s wasn’t all bad, though. It was here that George Ruth began playing baseball. With the guidance of Brother Matthias, this young man developed into a world-class baseball player, and he could do it all. He could hit, run, and pitch. And pretty soon, he attracted some notice. In 1914, George Ruth was offered a contract with the Baltimore Orioles. Shortly after he started playing, he was given the nickname Babe Ruth. Babe Ruth didn’t stay in Baltimore for long. He went on to play with the Boston Red Sox and the New York Yankees, but he never forgot where he came from. He knew that Saint Mary’s and Brother Matthias made him the man he was, and he did everything he could to give back to them. Becoming Babe Ruth is an inspirational story about an American legend. It shows readers young and old the importance of honoring one’s past and the path taken to success. None of us gets through life alone, and remembering one’s roots and those who helped us along the way is vital. I know this book will be extremely popular with my students. (Baseball is life for many of them.) 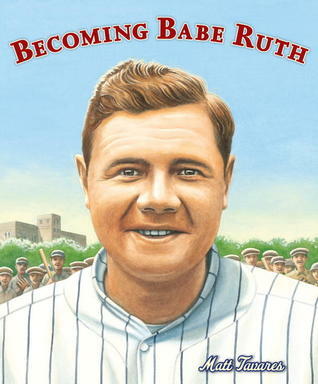 Becoming Babe Ruth is a welcome addition to any school, public, or classroom library. Its message transcends age and appeals to the baseball fan in all of us. 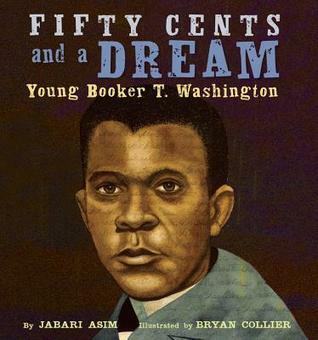 Fifty Cents and a Dream: Young Booker T. Washington, written by Jabari Asim and illustrated by Bryan Collier, is nominated for the 14-15 South Carolina Picture Book Award. 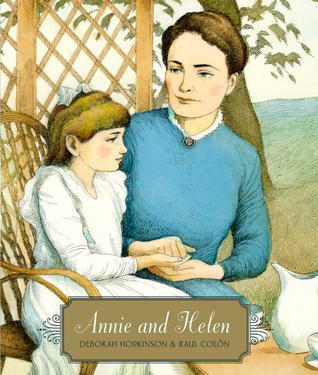 Fifty Cents and a Dream is an inspiring story about a young Booker T. Washington. It introduces young readers to this important figure, his early life as a slave, a worker in salt mines, his first days in school, and, eventually, a young man who journeys hundreds of miles just for the chance to go to college. He finally arrives–with only fifty cents in his pocket. Even then, he must work day and night to make his dream a reality. This book shines a light on the power of words, dreams, and persistence. Booker T. Washington never gave up on his dreams of becoming an educated man, even when it would have been easier to quit. He persevered and became not only a college graduate but also a writer, professor, and leader. He founded the Tuskegee Institute and paved the way for many young men and women who would come after him. In addition to being an excellent book to use in Black History Month celebrations, I think Fifty Cents and a Dream is a fine addition to any public, classroom, school, or personal library. It shows readers the power of dreams, but it does emphasize that those dreams won’t become a reality without a great deal of hard work and commitment. Touch the Sky: Alice Coachman, Olympic High Jumper, written by Ann Malaspina and illustrated by Eric Velasquez, is nominated for the 14-15 South Carolina Picture Book Award. Touch the Sky gives young readers a closer look at a sports figure they may not know much about. Alice Coachman, a young, black girl from Georgia, wanted to fly through the air. Even though things were not always easy for Alice and her family in the South in the 1930s, Alice always dreamed of doing more than people had planned for her. After seeing a track meet for the first time, Alice knew she was meant to soar. With the help of her friends, she practiced high jumping, and she was soon invited to join the Tuskegee Golden Tigerettes. Alice eventually went on to win national medals, she attended Tuskegee Institute High School, and she competed in various track and field events. Segregation still closed many doors for Alice, but she didn’t let that stop her. This National Champion high jumper went on to compete in the 1948 Olympic Games in London. Alice not only competed, but she won the only gold medal for the U.S. women track and field team. Even today, Alice Coachman is recognized as one of the most gifted athletes in Olympic history. Touch the Sky is a great book for teaching the importance of perseverance through difficult obstacles. Alice Coachman battled prejudice and the wishes of her own family to achieve her dream. She let nothing, not even her own doubts, stop her. That is an example that anyone can stand to follow. Photographs and an author’s note at the end of the book provide more information about this awe-inspiring athlete. I’m hoping that many of my students use this book as a springboard for research during Black History and Women’s History Months. This book could even add to discussions about segregation, inequalities in women’s and men’s sports programs, and the history of the Olympic games.